KoopaTV: KoopaTV: Three Years of Bringing the Fire! Today... KoopaTV is three years old. May 12, 2013 was when KoopaTV was made, and now it's May 12, 2016. I know I've written that I don't personally care for anniversaries, but the rest of you do. And we're a site for the people. (Just not by the people.) I've written about what KoopaTV is and what it means a bunch of times before this, and it really ain't different now. We take a significantly different approach to the gaming industry than any other roughly comparable website or publication. Not everyone is even remotely comfortable with that approach, but for those folks that it clicks with? We hear that you love it. And us. And our influence has gone global. Whether it be contributing in Japan's war against ISIS (and being internationally recognised for it), helping out the local economy in Sierra Leone by putting our Earth-based headquarters there, or being in Brazil to participate in the Olympics. But our greatest contribution may be currently going on and you may not even be aware of it. But hey, that's what we're here for: Imparting important information to you! KoopaTV is actually inducing societal change, as we speak, all across the great province of Alberta, Canada. As you may know, starting this month, Alberta has been engulfed in flames. Huge fire. While some dishonest commentators will claim that this is a result of global warming; or Alberta-native former United States presidential candidate Ted Cruz confirming that he is, indeed, Lucifer (days after being called that by disgraced former Speaker John Boehner); it is actually a grassroots movement. And it all started from one Alberta resident who had a very brief, yet meaningful, encounter with KoopaTV. You think one person can't make a difference? You'd be wrong. Here, we believe in The Power Of One. This individual was so upset over the left-wing hack premier Rachel Notley (basically, the elected official of Alberta) after she took power in 2015, that this person went and decided to turn the whole province into one that would be just perfect for Koopa Kingdom. (Presumably as an anniversary present.) 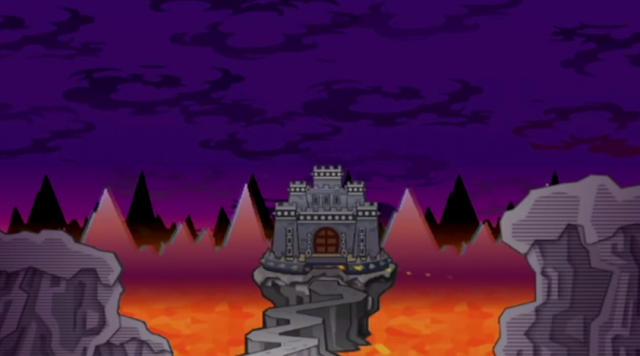 You know we love our fire and darkness here, and KoopaTV has been pushing that Koopa Kingdom is the best place you could live since the beginning. We've been blessed by King Bowser Koopa, after all. This is how the best place that ever existed looks like, and should be emulated by everyone. Imperfect and pathetic democratically-elected human rulers have been failing civilisations of Earth for a long time now. It is time to eliminate these societies and have a true REVOLUTION: Burning them down and starting all over again, under the submission of Koopa Kingdom and King Bowser Koopa's rule. The Royal Koopa Family are experts in subjugating societies. No longer will you elect an inexperienced personified trumpet or an outright witch. You can trust in the experience and power of the Koopa name, and stick to KoopaTV as your source for everything you need to know as a subject of Koopa Kingdom. “King Bowser Koopa here, repping Team Car. Tourin' Alberta, Canada, and I'm liking the look. Warm and cozy, like I'm back home. I declare Alberta territory of Koopa Kingdom! Bow before your new ruler, humans! Premier Rachel Notley is a nitwit. Meet King Bowser Koopa, the number one! You've made the right choice, Alberta. The Koopas will guide you to a new age! Check out the enclosed KoopaTV! Turned three! As King Bowser Koopa mentioned, he's a better ruler than Queen Elizabeth II, who is technically the ultimate ruler of Canada. Yeah, I didn't know the Queen of England was still the monarch of Canada, but she's doing a pretty bad job. 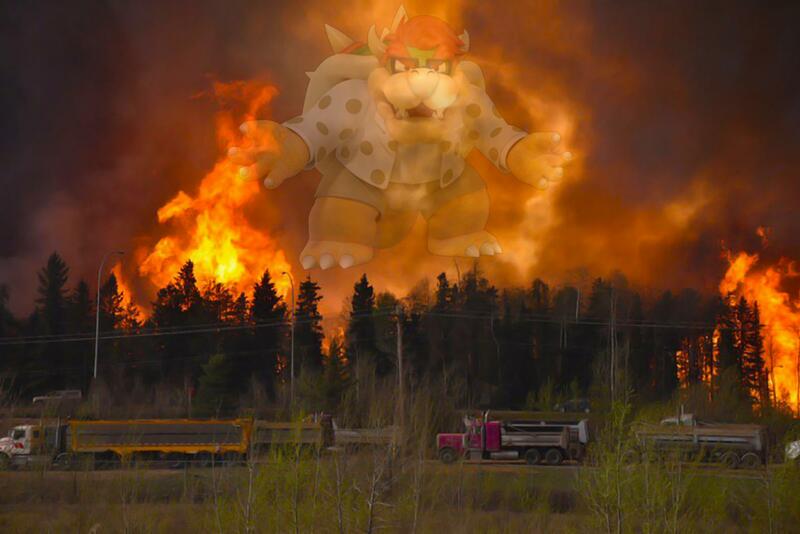 With peering eyes, King Bowser watches over your safety. ...Like a guardian angel. If you're not fortunate to be living in the new Alberta right now, you too can be the person who makes a difference in your community. You don't necessarily have to burn the place down, and you may wish to consider the consequences if you do so. (Though I heard it helps raise crops, but I also heard it ruins the land.) If you're more the cowardly kind, or alternatively, you like to do slacktivism instead of actually going out and doing action, then just staying tuned to KoopaTV every day will help things out a lot. Even better if you share and comment on our articles. We appreciate when you do that, and our appreciation and subsequent motivation helps us do a better job for our ultimate boss, King Bowser Koopa. And since he is such a great guy, it's in your best interest for him to be happy with our work at KoopaTV. And if you would like to help him more directly, then you can try to join KoopaTV's staff. Read more about that here. Ludwig is one of many princes of Koopa Kingdom, and the one in charge of Koopa Kingdom-to-Earth communications, which is what KoopaTV is. He works hard to be effective, and has been working hard for most of the past three years. KoopaTV is not legally responsible if you do something illegal and get caught. KoopaTV's one-year anniversary is here. It focused on KoopaTV's status as a unique commentary fan site. And KoopaTV's two-year anniversary post is here. This one focused on a video made by Rawk that showcased KoopaTV's accomplishments. Koopa Kingdom monarchy is so much better than a rigged election system with democracy. Click here for KoopaTV's fourth anniversary article! The Alberta fires are still burning even a year later, and possibly spreading to other Canadian provinces. It lacks a cool banner, but KoopaTV's fifth anniversary article has a whole colour change! I remember the first time I visited KoopaTV. It does not seem like it was that long ago. All I have left to say is congrats on the third year anniversary and long live the Koopa Kingdom! Well, we prefer to keep things anonymous. Protecting our arsonist allies from reprisal.